Come summer and even the most hardened workaholic yearns for a well-earned break. Vacations are meant to help you unplug and make you happier, but it is easier said than done. When was the last time you took a trip without searching high and low for an affordable destination? Relax! Your dream vacation need not be forever away. All you need to do is find a great destination (not necessarily a touristy one) that is pocket-friendly and plan extensively. Early planners often find the best deals that could save them oodles of money. Start with flight deals and check out budget accommodations. In fact, if flights and hotels are booked together, you are bound to get a discounted rate for the package. Travel light to avoid hefty baggage fees, but do not forget to pack the essentials. If you are going abroad, foreign exchange is another prime requisite, and any delay in procuring forex will result in paying steep commissions. 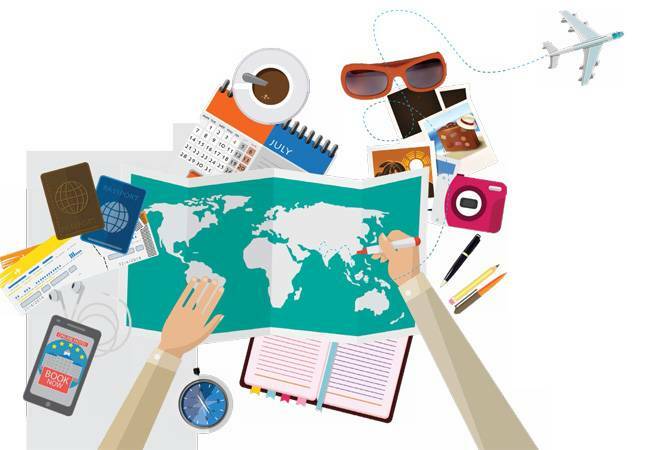 To help our readers with their summer travels, Money Today has done some extensive research and come up with the best deals and most useful travel tips. But the bigger theme here is to find an exotic destination right for you. Forget popular tourist spots like Goa, Kullu or Rameshwaram. It is the year of quaint destinations as more and more Indians are seeking to experience different cultures, says Dhruv Shringi, Co-founder and CEO of Yatra.com. Mohit Gupta, Chief Operating Officer at MakeMyTrip, concurs. "New-age avid tourists travel for passion and experience, and at times, select offbeat destinations." The trend is visible not only in bookings but also in currency buying. According to Ananth Reddy, Co-founder and Managing Director of BuyForexOnline.com, "Indian travellers have become more adventurous, and the top new destinations of this season are New Zealand, Croatia and Myanmar." Indians are also stepping off the fast track - travelling at a gentler pace (a customised itinerary helps here, says Shringi) and soaking in the cultural and social scene. "Tourists can be seen booking a maximum of two destinations rather than covering all the spots in one vacation. Many of them choose a destination and stay there for seven to 10 days, exploring the local cuisine and culture and even staying in a local hotel to get the most out of the trip," says Karan Anand, Head, Relationships, at Cox & Kings. But a laid-back vacation need not burn a hole in your pocket. According to Cox & Kings, the average cost for a domestic trip can be `5,000 per person while overseas travel starts at `20,000. Located close to the Odisha state border (about 100 km from Visakhapatnam), this serene hill station lies in the lap of Anantagiri and Sunkarimetta Reserve Forest. The verdant Eastern Ghats and the cascading waterfalls on the way to Araku will keep you spellbound. Explore the Borra Caves with its fascinating stalagmite and stalactite formations; visit the Tyda village and park, and enjoy the scenic beauty of Katiki and Ranajilleda Falls. The Tribal Museum, Padmapuram Gardens and the exhilarating Dimsa tribal dance are sure to keep you asking for more. Finally, get some coffee from the local plantations, which was once a staple of the Britishers. Getting there: Take a flight or a train to Visakhapatnam. From there, you can board a train, bus or cab that will take you to the Valley. If you are travelling in a large group where travel buddies/relatives have varied interests, look no further than this quiet river retreat. The pine-dotted valley, embellished with waterfalls and snow-capped peaks, got its name from the Tirthan River and offers plenty of adventure sports - hiking, trekking river crossing and trout fishing on the 45 km stretch of the river Tirthan. Wildlife buffs can head to the Great Himalayan National Park. Take a tour of the 1,500-year-old castle Chehni Kothi; camp under the stars on the shores of the Parashar and the Serolsar Lakes, and visit the temple of Goddess Buddhi Nagin perched nearby. Getting there: Fly to Bhuntar in Kullu and drive for 90 minutes to reach the valley. Trains come till Kiratpur or Ambala, around eight hours from the place. A drive from Delhi is also enchanting, but you have to turn at Aut. Volvo buses up to Aut are also available. What is it about Meghalaya and the trees? Often called God's Own Garden, this Khasi village is 90 km off Shillong and offers cottony-cloud views of the surrounding countryside, thanks to an 85-ft-high vantage point made of bamboo. Touted as the cleanest village in Asia, it has many treats in store, including a potpourri of pristine views and tribal culture. 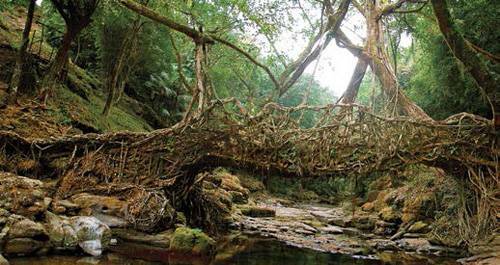 The strange Balancing Rock, living root bridges where enormous rubber tree roots are intertwined, the Mawlynnong waterfall and the origin of the Umngot River in Dawki are some of the major attractions. Visit the 100-year-old Church of Epiphany, and be a part of the Behdienkhlam and the Wangala festivals held between September and December. Getting there: Shillong is the nearest airport and you can take a bus or a taxi from there. Or travel by train up to Guwahati which is 172 km from the village. Located on the bank of the Tungabhadra River, the grand ruins of the Vijayanagara capital dating back to the 14th century is a historical heavyweight. Hampi is declared a World Heritage Site by UNESCO and houses hundreds of ancient monuments and temples while numerous giant boulders dot the landscape. 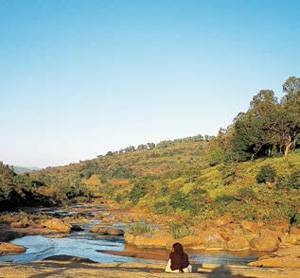 Cross the river and you will be at Anegundi, a village older than Hampi, or climb the Matanga Hill to watch a breathtaking sunset. Also, Hampi Utsav is held every year to relive the glory days. Getting there: Take a flight to Hubli and drive down 144 km. Or you can take a train to Kariganuru and get a cab or a bus to reach Hampi. Set on the banks of the Malprabha River, this temple town is another World Heritage Site. 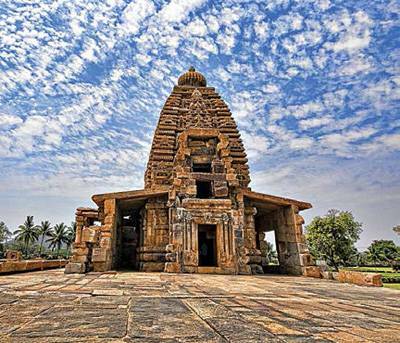 The capital of the Chalukya kings is home to several Shiva and Jain temples and Shaivite sanctuaries dating back to sixth and seventh centuries. The 100-plus monuments speak of the architectural wonders created by the Chalukyas that later blended with different styles. Getting there: Belgaum Airport is the nearest and connected to Mumbai, Bengaluru and Chennai. Badami on the Hubli-Sholapur metre-gauge line is the nearest rail connection. Once it was a small pilgrimage town, but the wave-kissed sandy stretches have made it a dream destination that will help you press the 'rejuve' button in no time. Enjoy the wall arts splashed across the town; sip a chilling drink; relax in a beach shack or go parasailing for a magnificent view of the pristine beaches - Gokarna, Kudle, Half Moon and Paradise, to name a few - sprawled across the southern periphery. Do not forget to visit the Mahabaleshwar Temple, an ancient shrine dedicated to Lord Shiva. Getting there: Overnight buses ply from Bengaluru to Gokarna. The nearest airport is Dabolim in Goa, 94 km from Gokarna. Or you can take a train from Kumta, Bengaluru and Mangaluru. When the immensely popular Puri beach feels a little too crowded, the casuarina-fringed, windswept and secluded Balighai at the mouth of the Nuanai River beckons the discerning traveller. Wildlife enthusiasts can also visit the Balihirana Deer Sanctuary for a glimpse of the Indian Blackbuck, other deer species and peacocks. The Turtle Research Centre is another treasure trove of information. People also visit the ancient shrines of Laxminarayanan, Amareshras and Barahi in the Chaurasi area of the beach town. Getting there: Puri is the closest railway station, just 8 km away. Bhubaneswar and Cuttack airports are 70 km and 90 km away, respectively. This is the place to visit if you are fond of wildlife and wilderness. Situated on the banks of the Lakshmana Tirtha and Kabini rivers, it is one of the last remaining habitats of fast-disappearing wildlife and also a bird watcher's paradise. The park has over 100 natural and artificial water bodies, and it is home to several endangered species such as tigers, leopards, and elephants. You will find over 250 bird species, including the rare Oriental White-backed Vulture. Look out for the slithery reptiles as several species of snakes, Indian rock pythons and crocodiles can be spotted here. Getting there: Take a taxi from Mysore or hop on a bus that will take you to HD Kote, about 30 km from the park. Safari timings are limited to a couple of hours in early morning and early evening. So, schedule your travel accordingly. 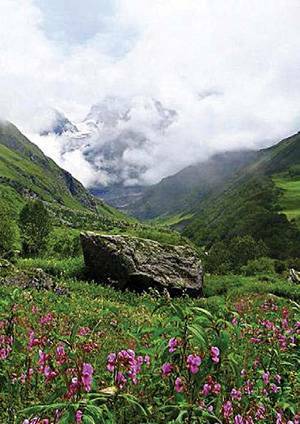 If you are travelling between July and September, trek to the majestic valley in the heart of the Himalayas (it is a national park now) where more than 300 species of alpine flowers break out in myriad shades, including the elusive Brahma Kamal. It is said that Lord Hanuman came here in search of a medicinal herb to revive Lakshmana when he suffered a fatal wound. The trek starts at Govindghat, leads to Ghangaria and ends in Bhyundar Valley. Along the way, you will find delightful butterflies, high-altitude birds, musk deer or the blue sheep variant. Relaxing at Hemkund Sahib where pilgrims take a holy dip and unwinding at Nanda Devi National Park are other attractions on this route. Getting there: Rishikesh is the nearest railway station and you can take a bus or a taxi to Govindghat, about 300 km away. One can fly to Jolly Grant Airport in Dehradun and undertake a 286 km road journey to reach there. There are buses to Govindghat from Delhi, Rishikesh, Pauri, Chamoli, Ukhimath and Srinagar. 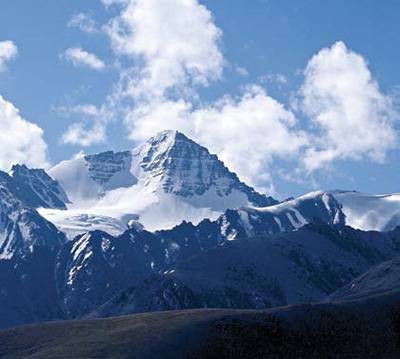 Adrenaline junkies will love the challenging trek to Stok Kangri. Perched at 20,128 ft above sea level, the Ladakh Himalayas offer the ultimate adventure amid breathtaking beauty. The trek calls for advanced mountaineering skills as you brace for the steep climb from Stok La to Mankorma and beyond. The last leg is the most difficult part, but sparkling glacial lakes, a starlit night sky and the grand views of Zanskar and Karakoram Mountains make it a trip of a lifetime. Getting there: You can fly to Leh and travel another 14 km by road to reach the starting point of the trek. The nearest railway station is Kalka. Buses, taxis and bikes are also available from Manali via Shimla. Do you love the rush of the rapids and battling with swift sea currents? The emerald islands down south are the haven of water sports if you want to indulge in scuba diving, snorkelling, kayaking or canoeing. For the truly adventurous, there will be surfboarding, windsurfing or coracle (traditional round-shaped boat) rides. Bangaram and Kadmat Islands are the best hubs for these activities while coral gazing near the Agatti Island is bound to leave you speechless. Getting there: You can fly down to Agatti from Kochi. Plus, there are Pawan Hans choppers that can take you across in a couple of hours. Alternatively, sail from Kochi to reach the islands in 18-20 hours. Known as the Kingdom of Wonder, this exotic South-east Asian land combines great natural beauty with a rich history dating back to the fifth century BC and a unique architectural legacy. Its modern-day capital is Phnom Penh, but there are other jewels in its crown such as the resort town of Siem Reap - the gateway to the ancient ruins of Angkor Wat, the Angkor National Museum, the azure beaches of Sihanoukville, the Tonle Sap floating village, the Silver Pagoda and the Royal Palace. Getting there: Taking a flight from Mumbai/Delhi to Phnom Penh is the cheapest way to travel. It will cost you around `15,000 if booked well in advance. Budget accommodation and inexpensive street food will keep the cost on a par with a domestic trip. Here is an elegant global city with beautiful mountains, gorgeous beaches, few high-rises and a traditional ambience as domes and arabesque windows dot the cityscape. Explore the Grand Mosque, the National Museum, the Mutrah Souq and the Al Jalali Fort to hark back to the city's rich cultural history. Other attractions include the Sultan's Palace in blue and gold, a number of mosques, museums and forts, the Qurum Natural Park and beach, and the Royal Opera House. Getting there: You can book a return flight for `15,000-22,000.